This essay by Eric D. Wanger was originally published in a newsletter for the financial clients of the multifamily office he ran in Chicago. By 2013, the underfunding of public pensions had fallen to $968 billion. 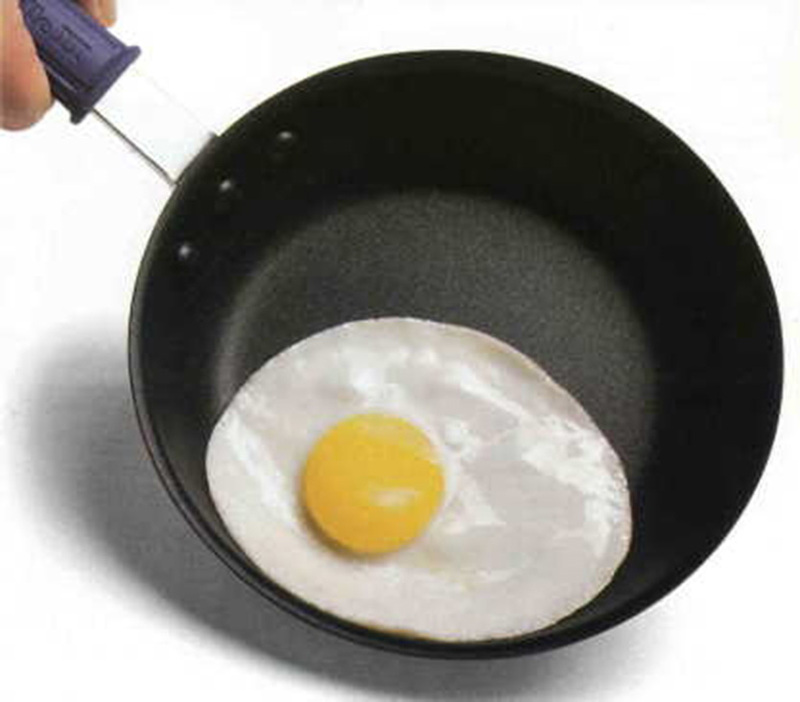 Teflon is really cool: Nothing will stick to it. It’s the slipperiest, slickest, most friction-free stuff around. The stickiest, messiest, gooiest mess slides right off. Teflon is used in industry whenever friction simply won’t do. Because nothing sticks to it, its appli­cations seem endless. In the pantheon of chemically engineered gods, Teflon stands near Zeus. When people are referred to as “Teflon,” it means that noth­ing sticks to them in the political sense. Ronald Reagan was sometimes referred to as the Teflon president. He was such a masterful politician that he could jump fully clothed into a vat of pure nasty and climb out smelling like a rose. He dodged scandal after scandal, gaffe after gaffe, like some kind of Muham­mad Ali of politics, floating like a butterfly and stinging like a bee. In public life, Teflon is the x-factor that separates the very good from the truly great. Political careers are made and destroyed in the public forum, without a judge or a jury. Politi­cal Teflon is that amazing ability to stand calmly and assertively while political opponents hurl chamber pots filled with blame, only to watch it all slide off without leaving so much as a stain on one’s suit. And that brings us to the subject of public pension funds. DuPont’s Roy Plunkett invented Teflon in 1938. DuPont Teflon fluoropolymer is one of the most slippery materials to exist, resisting heat and chemicals. Public pension funds around the country are in disarray. According to the Pew Center on the States, employees’ public pension and health in­surance funds were underfunded by more than $1 trillion in 2008. Negligent financial mismanagement, irrespon­sible return assumptions, and imprudent risk-taking have com­bined with chronic underfunding to leave a swath of destruc­tion. State governments around the nation have failed to stash away anything close to the amount of money their (often elderly) beneficiaries are owed. Had these fiducia­ries operated in the private sector, they would have been fined or even jailed under the Employee Retirement Income Security Act. One study found that the average funding rate across 59 city and state pension plans was 54 percent. Another study estimated that teacher pension systems across the nation are underfunded by $484 billion. The Pew Center on the States rated state pension funds on a 4-point scale and gave zero points to Alaska, Colorado, Illinois, Kansas, Kentucky, Maryland, New Jersey and Oklahoma. In the private sector, there would be FBI raids, press conferences, and men in suits hiding their faces behind handcuffed wrists on the evening news. But has anyone been punished because $1 trillion (some es­timates place it at $3 trillion) has gone astray? No.Will anyone be punished in the future? It’s doubtful, but the lawsuits have just begun to fly. Why? The individuals that approved the over­blown rates of investment return are faceless, the committee members that approved the underfunded budgets have moved on, and the deficits are so big they have no meaning to the aver­age person. The public debate has nowhere to go but to other is­sues—issues that can be used to win legislative seats, sway elec­tions, enhance prosecutorial resumes, or buy voters with pork. That’s Teflon in action. Despite crisis, there is nothing political for it to stick to. All of the blame and em­barrassment will simply slide off. Examine the political debate regarding public pen­sions: It has been cleverly shifted to the current salaries and ben­efits paid or promised to existing state and fed­eral workers. That’s sleight of political hand, but diverts us from the real issue. Teflon is at work and the taxpayers will be left to clean up the mess. No discussion of Teflon would be complete without ac­knowledging the most non-stick man of the last century, Wer­nher von Braun. Read Michael Neufeld’s excellent biography of him. It’s excellent and done to standards which should make the Smithsonian proud. 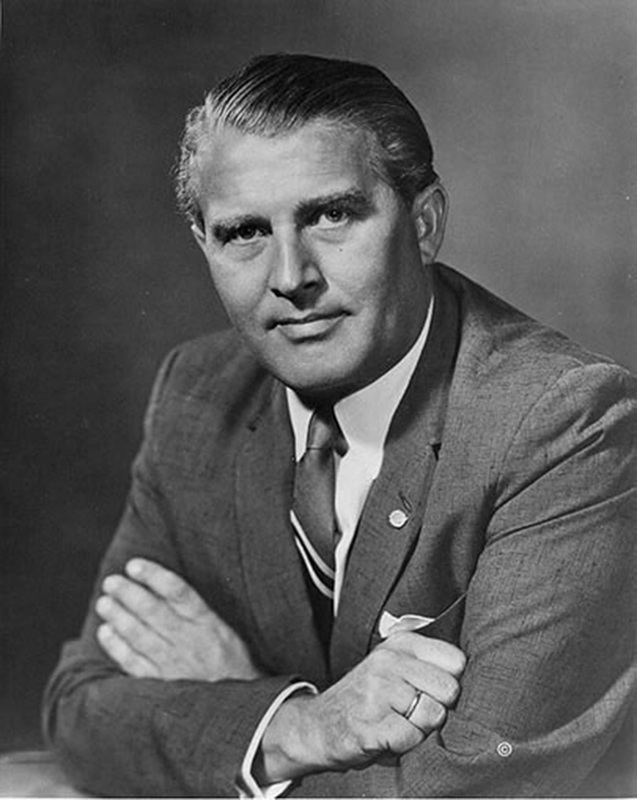 Wernher von Braun was a German rocket scientist straight from central casting—a real-life Dr. Strangelove. Von Braun was a founding father of U.S. rocketry: both ballistic missiles for war and the manned space program for peace. Portrait of Wernher von Braun. As an architect of our manned space program, he was the father of the Saturn V rocket (still the most impressive rocket in human history) and the tall, handsome, blond-haired, blue-eyed, German-accented face of the “dream of space” for a generation of Americans. His entire professional life was devoted to the dream of putting men into orbit and onto the moon. “I aim at the stars,” he is famously quoted. So here is a man who was born to the greatest luxury known in pre-war Europe, who spent the war eating good food, drinking good wine, and going to parties in a tuxedo (or his SS officer’s uniform when required). He was a post-war “guest” of the U.S. army, ultimately rising to the highest levels of the U.S. space establishment and becoming its public face. He appeared on televi­sion and in print and he testified before Congress. He dined at the White House. He died a hero after helping to dedicate the Smithsonian’s National Air and Space Museum. Teflon is thriving: Goldman Sachs will survive congres­sional hearings and hundreds of millions in fines. Sarah Palin abdicated the governorship of Alaska in order to free up time for speaking tours and book publishing. Michael Jordan’s gam­bling? Bill Clinton’s perjury? Teflon people, truly non-stick hu­mans.